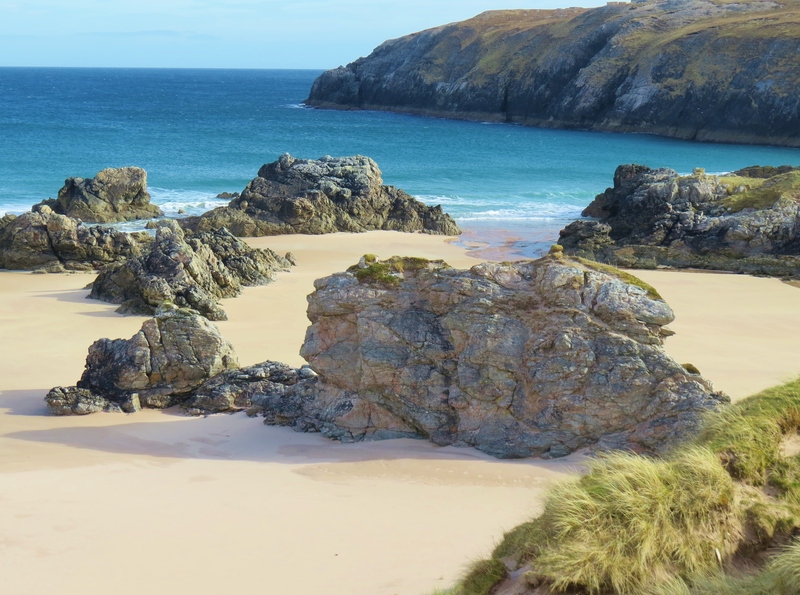 Joyful Journey – Part 5: Durness And Beyond – Jewels In The West Highland Crown – movie; images; text. 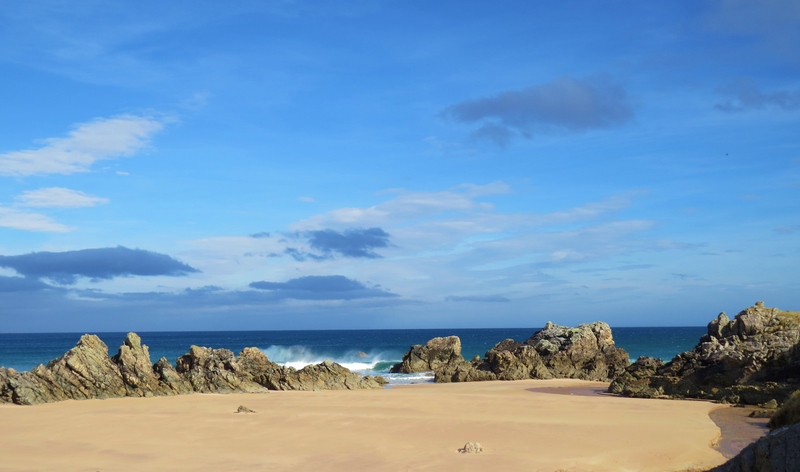 Durness is an area situated on the farthest North West coast of Scotland. 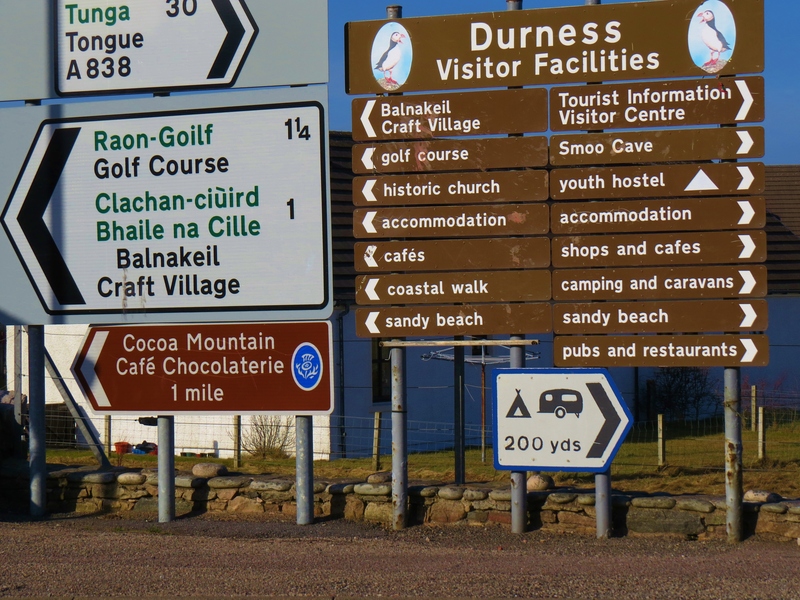 Made up of several small hamlets and many crofts, it takes it’s name from the largest of the ‘villages’, Durness, from the Norse ‘Dyrnes’ meaning ‘deer headland’. 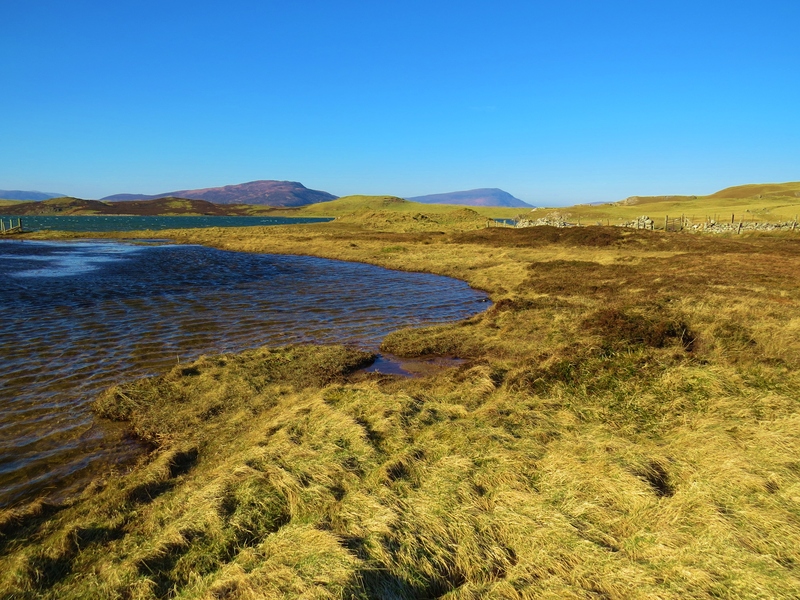 Part of Sutherland, the least populated area in Western Europe, it is surrounded by landscapes of indescribable, unspoiled beauty, amazing in their variety. 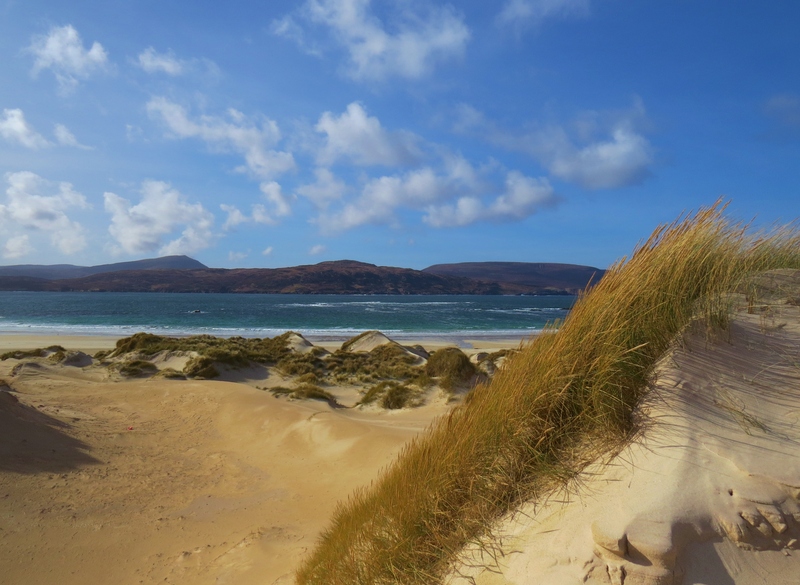 On one side, coastline, ‘some of Europe’s most isolated and spectacular’, on the other, vast areas of mountains, lochs and moorlands, streams and lochans, breathtaking in their wild grandeur. There are several walks of varying difficulty that one can take to see and experience the area. I first took the road from Mackay’s Bunkhouse (a.k.a. 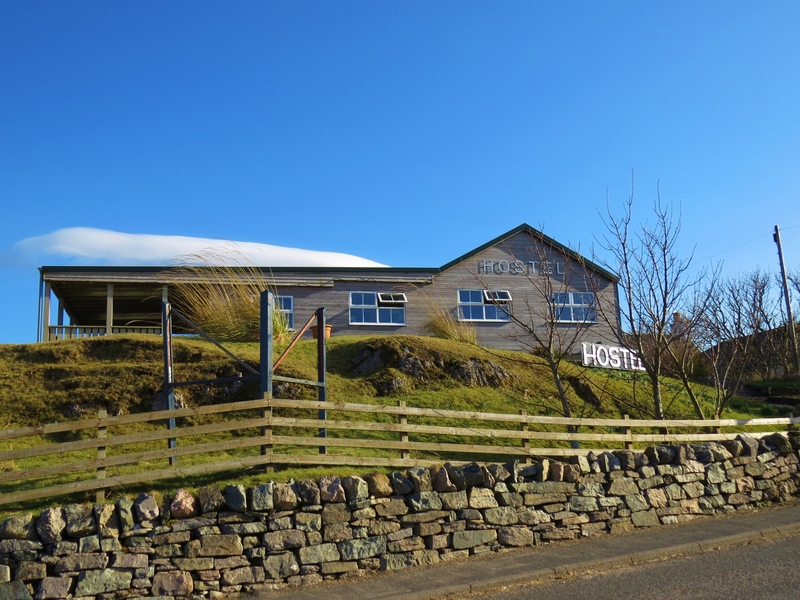 ‘The Lazy Crofter’s Hostel) to Balnakiel Bay, arriving at the ruins of an ancient church located at the entrance to the mile long beach. The existing ruins are from a church built in the 13th century, but before that, the Culdean Monks had their house of worship on this spot. The tiny graveyard is still in use. Opposite the ruined church, at the end of the beach, is a house with a long history. Built in 1744 and now restored, part of the original walls are still intact. Back when Clan Mackay owned most of this area, the eldest son of the clan chief, known as the Master of Reay, had his residence here, from where he ran a thriving farm. According to Wikipedia, when Sutherland was part of the Bishopric of Caithness, the house was the summer home of the Bishop. 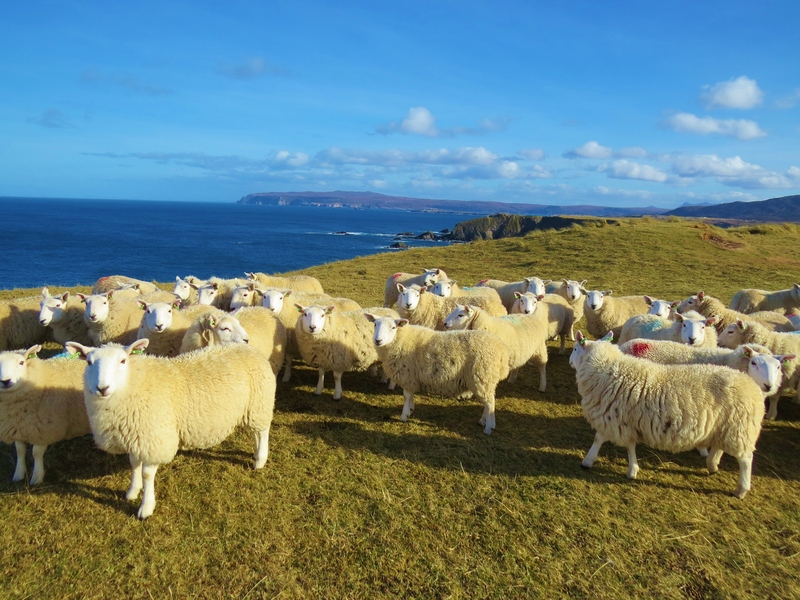 Today, it is once again the nerve center of a thriving farm, with flocks of sheep grazing above the sand dunes. In this writer’s humble opinion,this is a more fitting use for this ancient place of such awesome beauty. 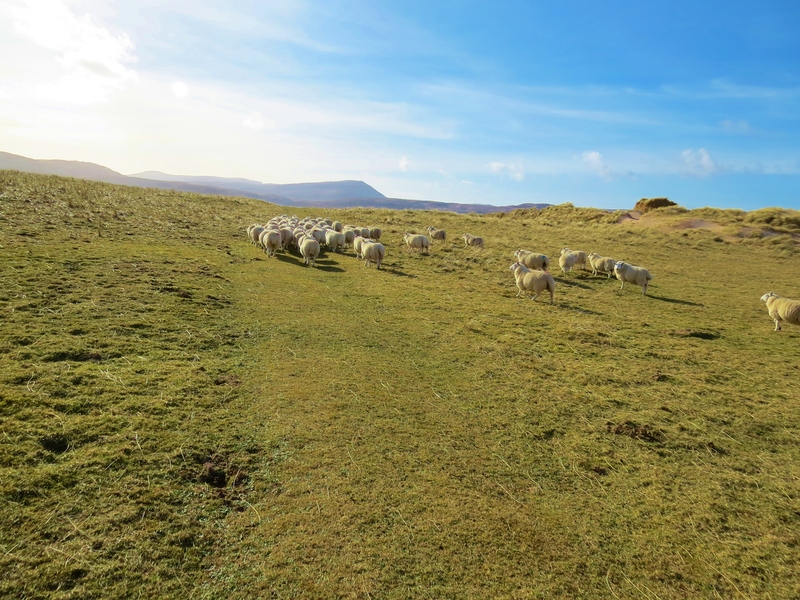 At one time in my walk, a flock of sheep mistook me for their shepherd, no doubt thinking I brought food. It took a while for them to finally realise it was not so. They left me then, and stoically went to look for pastures new. 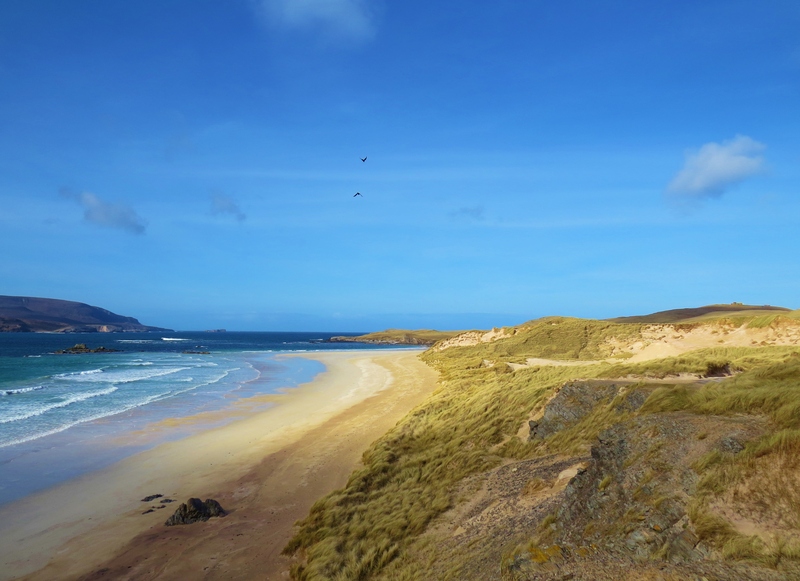 At the end of Balnakiel Bay, The track took me through a variety of sand dunes – one of Scotland’s largest sand dune systems with dunes up to 60 meters above sea level. A few years ago, the body of a young Viking boy was discovered at Faraid Head. Erosion of the dunes exposed this long held secret. 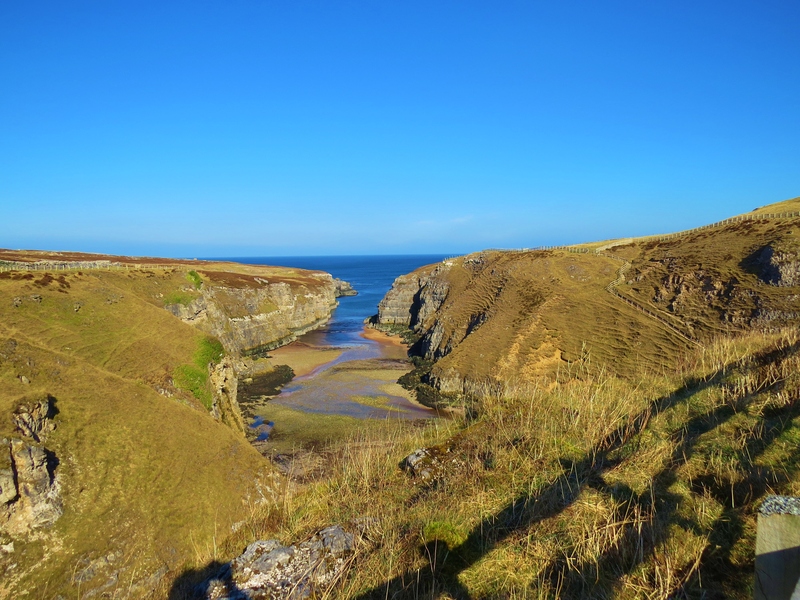 Having reached the viewpoint I wanted, I was faced with the choice of walking along the cliff tops, following the coast back to the hostel in Durness. That being a rough route, I opted to return the way I had come. The round trip was about 8 miles pretty easy walking. On my second walk, I headed East, away from the coast. 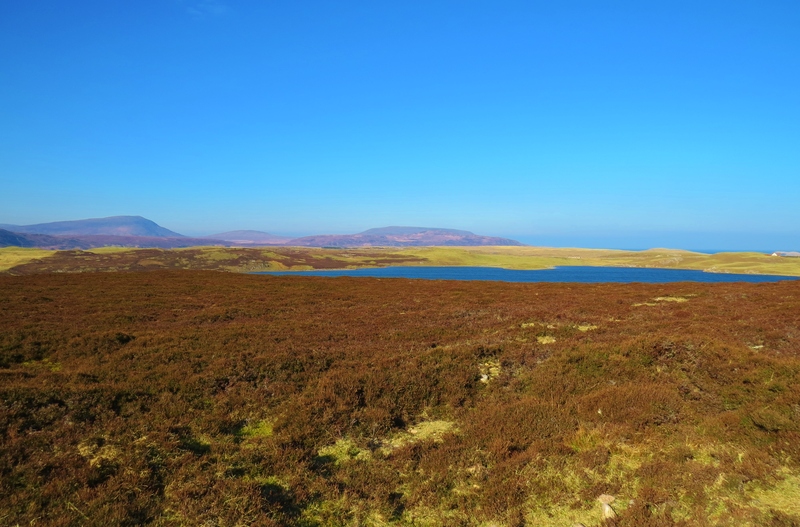 I passed several crofts outlying the village, and after 10 minutes or so, found myself in a completely different world, surrounded by moors, mountains, rivers, lochs and lochans. 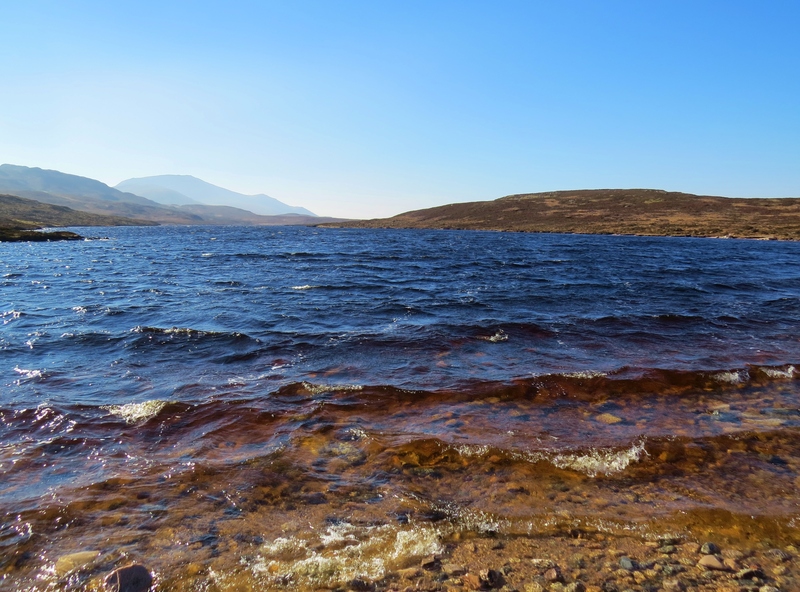 Loch Caladail is reached soon after leaving the last croft in the community. Though not as scenically spectacular as the second on my hike,Loch Meadaidh, this one is favoured by fishermen. 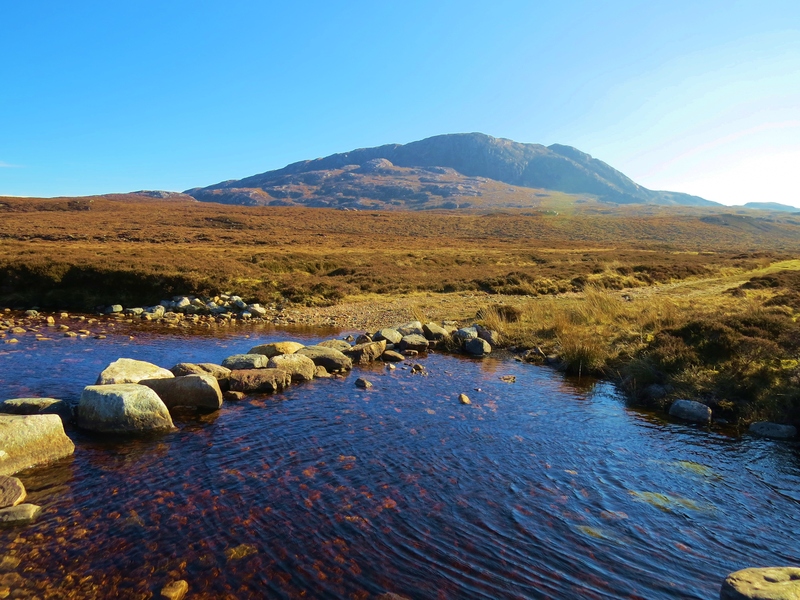 As a result of more alkaline water, Loch Caladail has more abundant and bigger fish, the large brown trout being particularly prized by anglers. It was early March when this was taken. 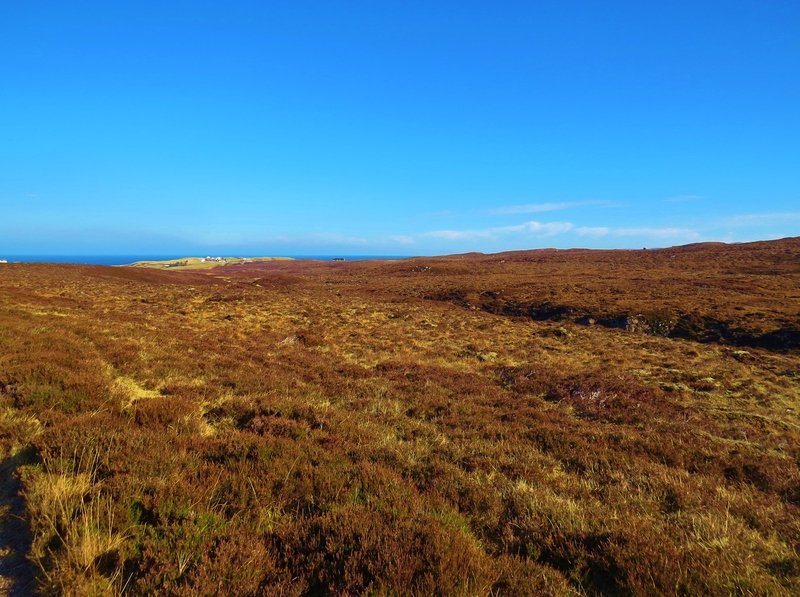 The heather, brown then, will look very different later in the year. Three different varieties of heather, differing in colour, bloom at different times, giving an ever-changing look to the landscape. After two miles or so, I came to the awesomely beautiful Loch Meadaidh and shortly thereafter, the stepping stones over Smoo Burn. A ‘burn’ being the Scottish word for stream. 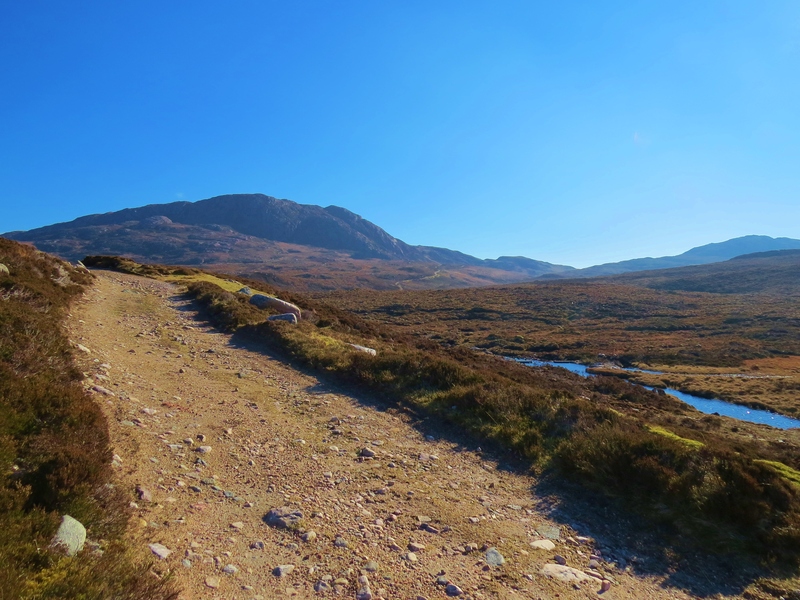 The stepping stones lead to a track used by hill walkers and mountain climbers en route to wilder terrain a short distance further inland. 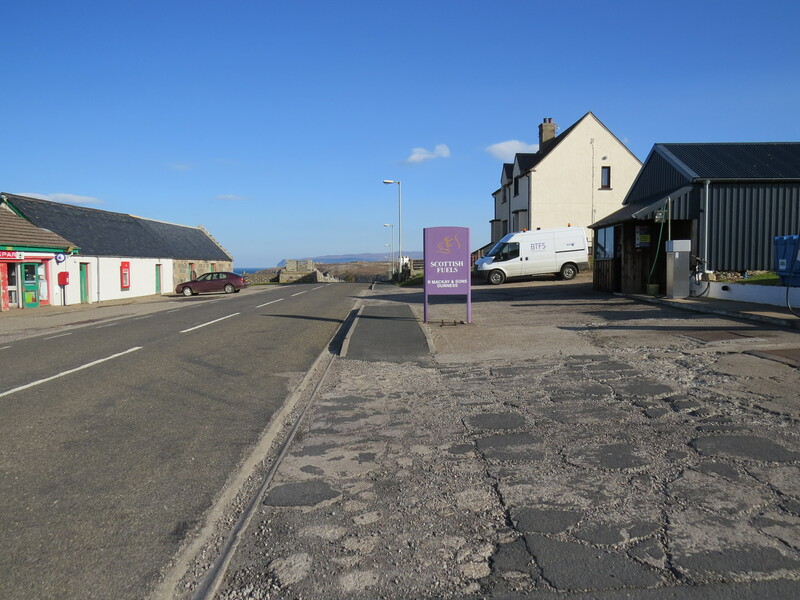 Once past this point, having walked in a rough semi circle, the building alongside the coast road comes into view. Another mile or less brings one onto that road a short distance west of Smoo Cave. 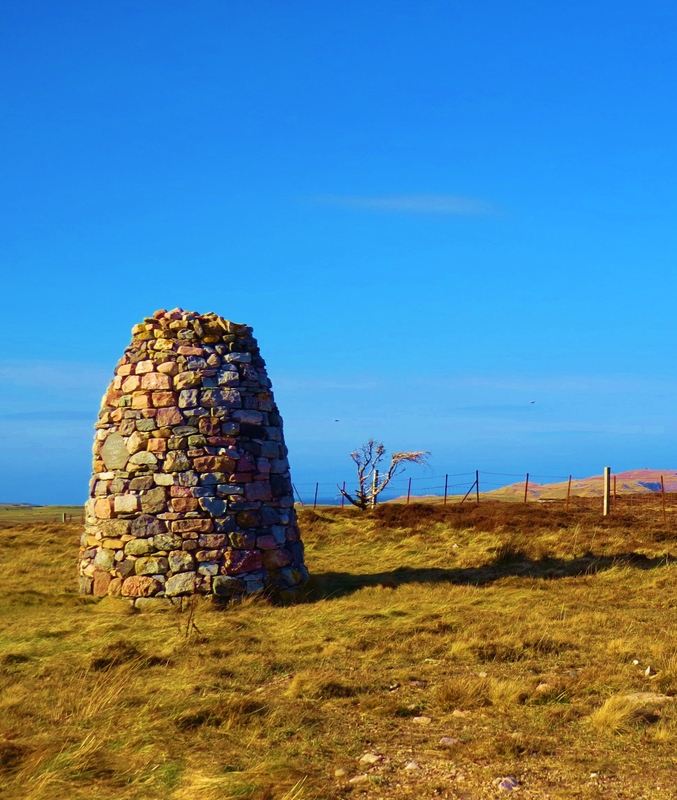 Arriving back at the coast, on the side of the road where the trail ends, sighting this cairn let me know that I was heading in the correct direction of my next destination. 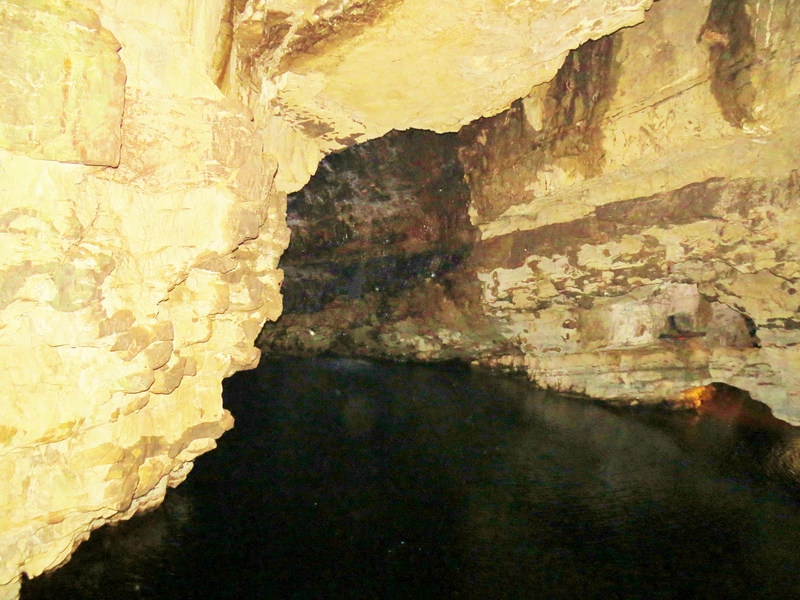 A mile or so East, I came to the canyon at the bottom of which is Smoo Cave. 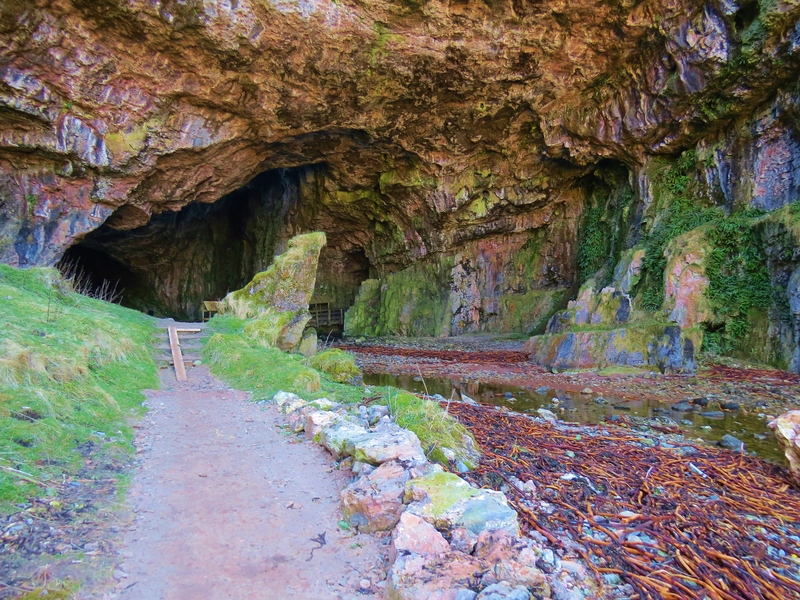 Smoo Cave is actually conjoined sea and fresh water caves. Formed by erosion of the limestone cliffs, it is accessible only by boat, though once inside, visitors have to get out of the small craft and walk for a bit. 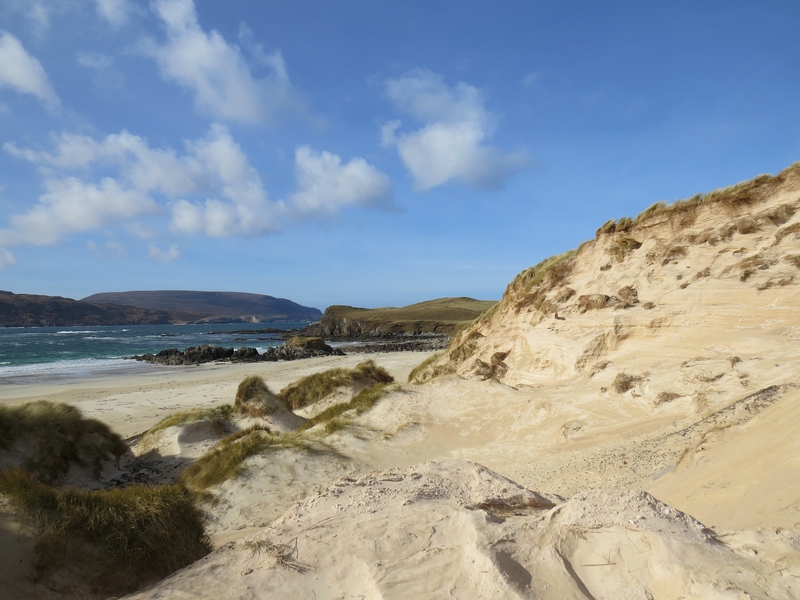 When I visited in early March, access was impossible since the boatman had not yet got his boat in the waterdue to adverse weather conditions. However, I was able to enter the small outer chamber via a wooden walkway. In June, I will return and, hopefully, be able to see all of this amazing, one of a kind phenomenom. 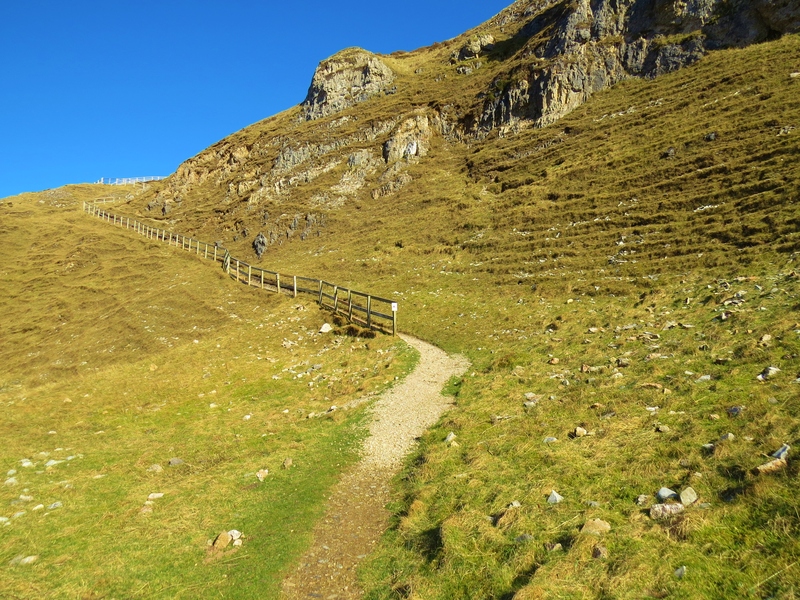 The walk from the road, across the cliff tops then down into the bottom of the canyon would be hazardous but for the wooden fence guiding visitors. 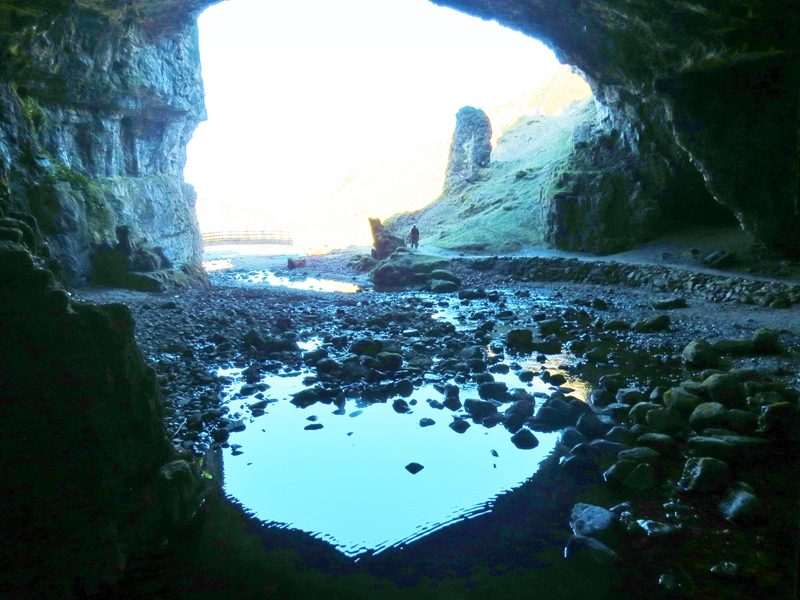 The holes in the roof of the cave that make it unique by being naturally lit in places, are holes in the ground above. Unwary walkers could come to a nasty end without the rails to guide them. A staircase makes the descent easier. The tide was out when I reached the entrance, but there was still much water inside. Once back at street level, I delighted in the pristine beaches lining my way home. Looking back at the cliffs that house Smoo Cave was interesting. From here I headed back to the village of Durness and Mackay’s Bunkhouse, stopping to take photos of that hostel, the main street and the very large sign post.